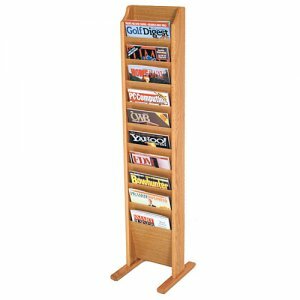 Oak 10 pocket wooden floor / display magazine and literature rack. 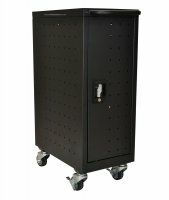 Wooden Mallet's free-standing magazine racks offer versatility and style when displaying magazines in your lobby. A unique overlapping design neatly displays and organizes magazines and literature, keeping them tidy and visible in the least amount of space. Available in three designer colors to coordinate with any decor. All Wooden Mallet products are warranted for one year against defects in materials and workmanship.